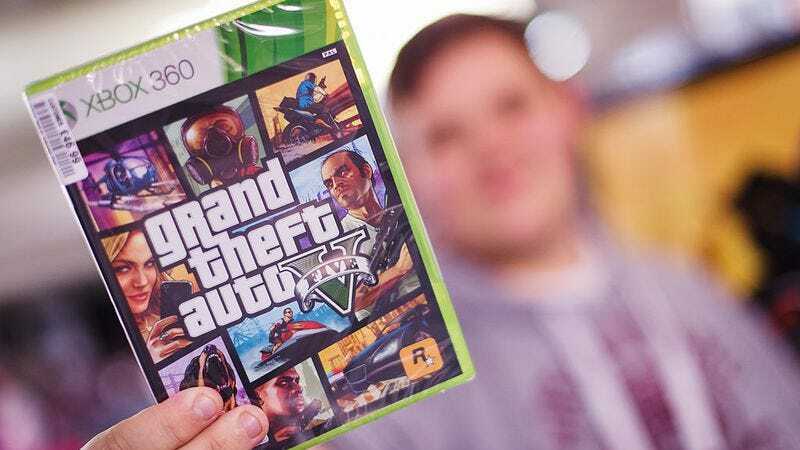 As reported by Kotaku, a Florida mom who recently purchased a used copy of Grand Theft Auto V for her 11-year-old son took to Facebook to share the story of the shocking bonus her kid found inside. According to the woman, Kayla McAllister, her child opened the game’s two-page excuse for an instruction booklet and discovered what police later confirmed to be a small baggie containing six grams of meth. “Thankfully he brought it right to us and said ‘what is this?,’” McAllister wrote in her Facebook note, alongside a photo of the drugs. The game was purchased from the Capital West Tallahassee GameStop. In a statement made to Kotaku, the company apologized for the thematically appropriate, but also horrifying and potentially dangerous blunder: “We work diligently to ensure the quality of our pre-owned items are like new. Unfortunately, in this circumstance our thorough process fell short. We are extremely concerned that this incident occurred, and are working with the local police department to support them in their investigation.” It’s worth noting that this exact scenario has happened before: Just eight months ago, another 11-year-old, this time from Louisiana, found meth inside their used GameStop game.